Two Years and Counting! — Sewing Seeds Quilt Co.
You are here: Home / Blog / Two Years and Counting! Please join us in celebrating our anniversary! For two years, we’ve had the privilege of working with wonderful customers and friends on many memorable projects. What could be a more fitting THANK YOU than to offer you two days of spectacular savings! On Friday, February 6 and Saturday, February 7, you will receive 10% off a $25+ purchase, 20% off a $50+ purchase or 30% off a $100+ purchase!! You will also enjoy demonstrations, refreshments, door prizes, new samples and a shop FULL of inspiration! While you are here, stitch a fabric postcard to be mailed to our military service men and women. Join us in thanking them for all that they have done and continue to do! 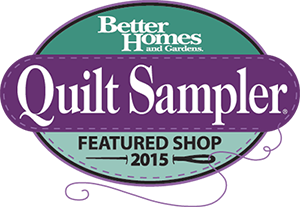 This event is being held in conjunction with the Quilts of Valor National Sew Day. All materials and postage will be provided. No reservations required. Anniversary events are available in-store only. Some exclusions may apply.